Homeowners across the Sunshine Coast face the challenge of finding fencing solutions that are not only practical and functional, but also aesthetically appealing. Many mass-produced fencing options simply do not offer the designer features that homeowners are looking for and many are made to a poor standard of quality. Fences mark the boundary of your property and as such, it is important that they serve their purpose as a security installation, whilst complementing the ambience of your home. A poorly designed or manufactured fence can have your home looking like a prison, which is why the team here at Dean Wilson Iron offer a comprehensive range of fencing solutions that can be customised to suit your needs and the design features of your home. At Dean Wilson Iron, we specialise in custom wrought iron fences that can be designed to your exact specifications. Our fences combine the timeless elegance of wrought iron, with its unrivalled strength, durability and malleability. 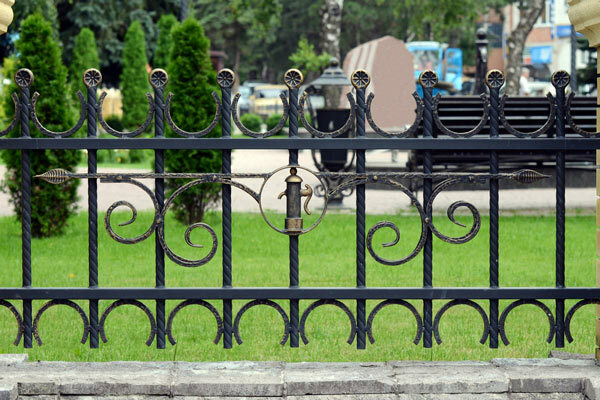 The strength of wrought iron makes it great for use in security fences, as it is able to withstand high impacts and significant pressure. The durability of wrought iron is greatly beneficial to its application in fencing, as it can withstand decades in the harsh climate of the Sunshine Coast, without rusting or corroding. 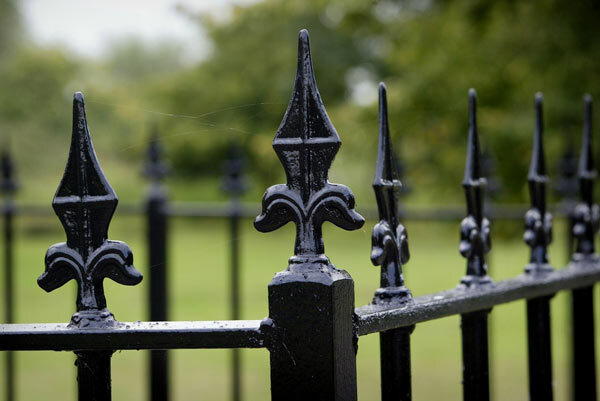 As well as this, the malleability of wrought iron allows our expert blacksmiths to craft intricate and unique designs that will undoubtedly be the focal point of your property. Wrought iron has been used for centuries and promotes an enduring ambience of grandeur, but this does not mean that it cannot be used in more contemporary designs. In fact, here at Dean Wilson Iron we can craft fences of any size, to suit any design or application and no job is too big or too small. We pride ourselves on being able to cater for everyone, whether you need a fence to adorn block walls and brickwork or you simply require a freestanding security fence for your property. Dean Wilson are the team behind some of the most recognisable iron fencing designs on the Sunshine Coast and can manufacture robust iron fencing solutions to complement the existing architecture of your home or business. Here at Dean Wilson Iron, we know that each of our clients have a distinct and specific set of requirements and our foremost priority is to provide you with a customised fencing solution that fulfils all of your needs. We pride ourselves on client engagement and we strive to make your creativity and design concepts a reality with our wrought iron fencing creations. Fences serve many important purposes and these include security, privacy and decoration. Our blacksmiths have a wealth of knowledge and experience when it comes to working with wrought iron and this means that each of their creations is constructed to the highest standard of quality to ensure the upmost in strength and durability. 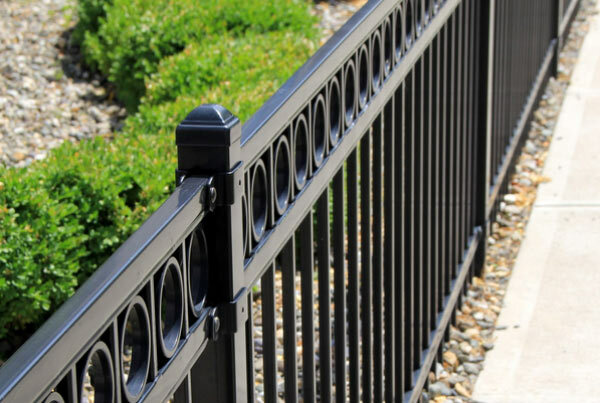 When coupled with the natural strength of wrought iron, this makes for an effective security fence, capable of withstanding considerable force. To address any privacy requirements you may have, we offer a broad range of installation options, which include freestanding fences with their own fence posts, or installation to pre-existing block walls or brickwork. This means that you can get the benefit of a striking wrought iron design, with the privacy of a block wall. Unrivalled security that does not diminish the ambience of your home. Excellent durability that means your fence will be looking immaculate for decades to come. Great value for money with the quality of a locally handcrafted product. Unmatched design appeal that is sure to be the focal point of your neighbourhood. Throughout our many years of experience in the industry, we have been able to refine our service process to ensure that every one of your needs will be met. We engage with each of our clients in great detail and this includes a thorough discussion of your practical needs and your visual requirements. At Dean Wilson Iron, our number one priority is you and we take all the measures necessary to ensure that your fence is tailored to your needs, with unique and striking features that perfectly complement you and your property. To begin our service process, we like to discuss your needs with you and develop a clear picture of precisely what your requirements are. This is important to us, because we insist on providing fencing solutions that are unique in design and targeted to your practical requirements. During our consultation, we will assess a number of details including the size of your fence, its practical purpose, the design that you would like and the area in which your fence will be installed. All of this information helps us to work out exactly what you need, so we can create the perfect fence for you. Here at Dean Wilson Iron, we value our clients and we will be upfront with you. We know that you are likely to want some time to consider your options and to make this easier and more simple for you, we can provide you with an instant initial quote so you have a clear idea of what costs will be involved. Our quotes are developed based on some basic measurements and design information, which we can discuss during our initial consultation. This ensures that you will not be left waiting for a long period of time, just to receive a quote. Once you have received your quote, we can begin work on your custom fence. We take the information that you provided us with during our initial consultation and use it to develop a design that is perfectly tailored to your specifications. We value your input throughout the entire process and it is particularly important during the constructions stage, which is why we will keep you updated for the duration of the build. Our team can send you progress photos at various stages of completion and we even invite you to inspect the product in person, at your convenience. Once your fence has been finished to your satisfaction, it will be ready for installation. We demand the highest standard of quality for our clients and each of our products are carefully handcrafted by our expert blacksmiths, so you can rest assured that you are receiving the best in quality and design. Our team has a wealth of experience and expertise not only in crafting wrought iron fences, but also in installing them. We can install your fence anywhere on your property, whether you would like it to skirt the boundary of your property, or adorn a pre existing block wall; whatever your requirements may be, our team is well equipped to meet them. If you want a practical, sturdy fence that will offer effective protection without compromising your home’s ambience, then contact us today at Dean Wilson Iron. You can call us and speak to one of our fencing experts, or simply find us on Facebook and peruse photos of our previous work across the Sunshine Coast. #1 How long will my fence last? At Dean Wilson Iron, we build all of our fences to withstand the harsh climate of the Sunshine Coast and the expertise of our blacksmiths, when coupled with the durability of wrought iron, ensures that your customised fence can last for decades to come. This means that you are not only getting a product that is top quality, but you are also getting the great value for money that comes with a durable and hard-wearing fencing solution. #2 Do you provide any guarantees for your fences? Because our fences are handcrafted to such a high standard of quality, we are confident that they will last you for many years. As a testament to this, we guarantee every one of our fences for ten years and this guarantee extends to rust, installation and manufacture. #3 How do you stop your fences from rusting? At Dean Wilson Iron, we are familiar with the harsh and changeable conditions of the Sunshine Coast and we craft all of our fences in a manner that effectively safeguards against rust. 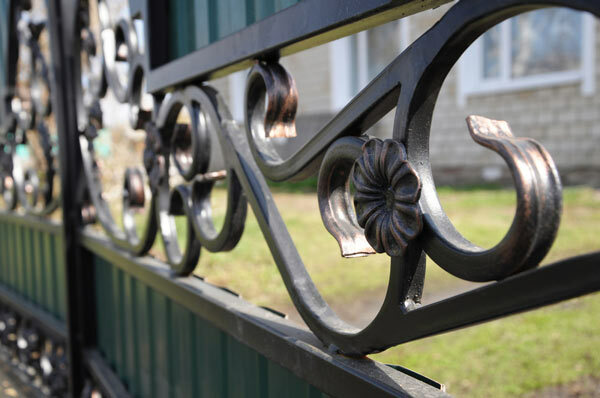 Like most metals, wrought iron can rust if finished incorrectly and to address this, we sandblast all of our metal, before applying a protective zinc coat and a decorative powder coat or hand-rubbed natural iron finish. These precautions, and the durability of wrought iron, ensure that your fence is protected from rust for decades to come. #4 Will I need to do much maintenance on my wrought iron fence? All of our fences are handcrafted and finished to an unrivalled standard of quality, which means that you will not need to undertake much maintenance at all. We do, however, recommend a gentle wash with soapy water, followed by a rinse, every once in a while. This will keep your fence looking immaculate and will protect the outer layers of metal from potentially abrasive particles of dirt or dust.